Every business wants to be on the first page of Google. Success depends on being able to get in front of as many potential customers as possible, so it makes sense to do everything you can to reach that sweet spot. Search Engine Optimization (SEO) is what gets you there. Video is one SEO strategy you may not be using. If not, you definitely want to add it to the mix. Video is a great way to improve your SEO, and it’s only going to grow. According to Cisco, nearly 70% of consumer Internet traffic will come from video by 2017. The first step to getting an SEO boost from your videos is posting them on YouTube. YouTube is owned by Google, so its content naturally ranks higher. YouTube is also the second-biggest search engine, behind Google. To maximize this opportunity, make sure your YouTube videos are optimized with the appropriate title, description, keywords and tags. Use the YouTube Keyword Tool to find the keywords and topics people type into the search box, and include those keywords in your title. Incorporate them into your description, too, and include a link to your website. Instead of using the screenshot that YouTube automatically generates, customize your video’s thumbnail image so it makes the best impression. Finally, don’t make the mistake of posting your video only on YouTube. Blog about it. Share it on Facebook, Twitter, Tumblr and Instagram. Include it in an email blast. Video is inherently shareable. 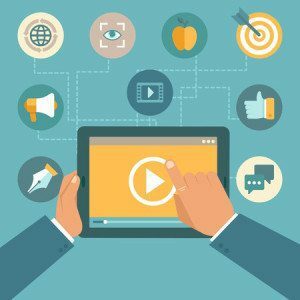 According to HubSpot, 54% of senior executives share work-related videos with colleagues on a weekly basis. And having “video” in the subject line of an email increases click-through rates by 65%. Getting to the first page of Google is just the beginning. Keep posting quality content, including videos, to maintain your hard-earned ranking.